Eat! Drink! Roll Dice! Be Merry! Too much to choose from? Our staff can make some suggestions using their wise wizardly ways. It's $5 (tax in) per adventurer for a full day's access to the library! 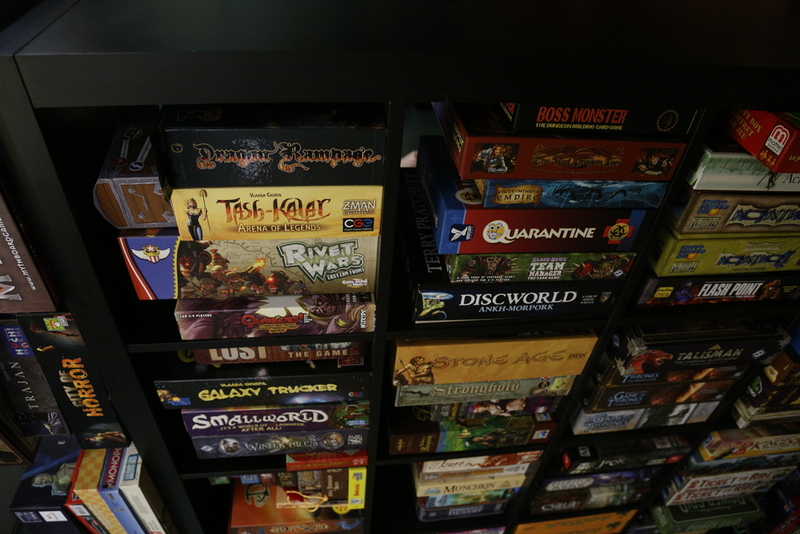 And The Adventurers Guild stocks precisely one metric fun-load of games. That translates to the best and first collection in K-dub and the Region - 900 games, including board games, retro video games, and role-playing games. And we're always adding to the library. Join the adventuring party. They call it a party for a reason. Board Games are what is best in life! King your brave checkers piece. Settle Catan once and for all. Feel your soul hurt when you hit that perfect Cards Against Humanity combo. NES! SNES! N64! PS1! Perhaps even a bit of Game Cube for you Smash Bros. Melee fans? Take a seat on the vidya couch and re-live your glory days. We've hand-picked some cool, quick to learn and quick to play indie RPGs for anyone that wants to explore the garden of their mind. First timer? It's not as tough as you think. We'll help! Adventuring is thirsty work. With this in mind, we've made sure to fill our coffers with hot and cold drinkable delights. Local craft beer! Coffees! Teas! Sodas! And milkshakes! But we specialize in savoury espresso, pulling shots like an archer from locally roasted and ethically sourced coffee beans. Guaranteed +5 Alertness. Adventuring is hungry work too, actually. Which is why we've got a great selection of edibles. Paninis themed to your favourite video games, healthy salads, and a fantastic assortment of locally baked goodies. Like cookies. And scones with fig jam. And a vegan chocolate cake that would make an elf cry. Join us for one of our many Special Events! It'll be as grand as Bilbo's 111th birthday. Who doesn't love a good tourney? Jousting's a bit dangerous, so how about Ticket To Ride? 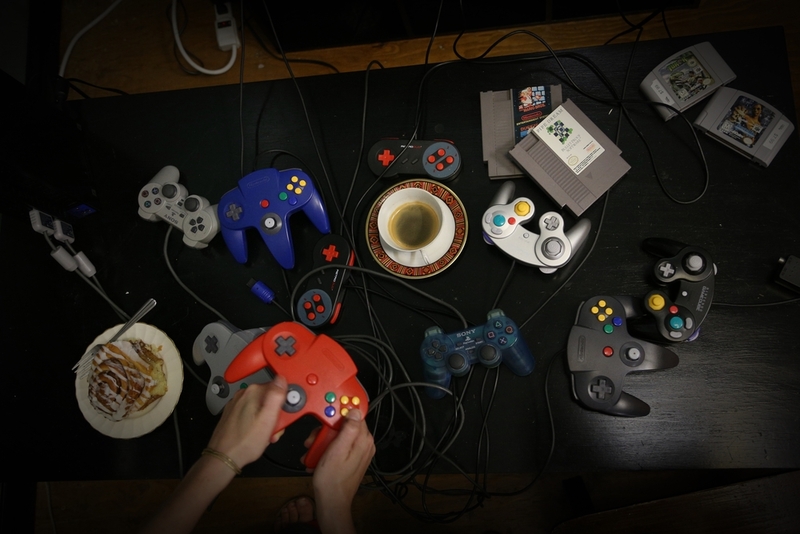 Or Super Smash Bros. Melee? Or Blood Red Sands? Prizes and friendships to be won! And lost. We hold that Bards are essential. If you like music as much as we do, you'll want to come to an official Guild Bard Bash and hear music like the heathen kings of old - live in concert! Check ye the events page for announcements! LARPing, or Live Action Role-Play games, took gaming to the next level. Norwegian-style LARP went one better. Few rules. No combat. Just strange or intense scenarios. And you. Check here for the game of the week and for what's new at ye olde guild! We've also got Pokémon TCG boosters! Ever wanted to be one of H.P. Lovecraft's Great Old Ones? One of the ancient evils threatening to push into our humble reality? Hastur? Nyarlathotep? Maybe great Cthulhu itself? Rejoice, 'cuz NOW YOU CAN! In Cthulhu Wars you and 2 to 4 others will spend about 2 or 3 hours as ancient evils waging intense war across a map of the Earth, stomping each other with minions and spells while opening dimensional gates and earning doom points. Sound like fun? It is. It's nice and tactical, and each Old One caters a little more to a different strategy. Oh, and the mini's aren't so mini. They're huge and wonderfully detailed. Need a super rad place to host your workplace Christmas party? Build teamwork and spread cheer and synergy and such? Email us at adventurersguildcafe@gmail.com for details!